This detailed post compares three pain killing medications: Dilaudid (hydromorphone hydrochloride), Percocet (acetaminophen and oxycodone) and Darvocet (acetaminophen and propoxyphene). Medical uses, benefits, side effects, interactions and mechanism of action of the three drugs are compared. Are you suffering from severe post operative pain? Pain can be crippling and cause depression in patients. There are many medications available in market to treat pain. Opioids are pain relieving medicines (1). They help in pain management by altering intensity of pain signals reaching the brain and diminish effects of painful stimulus. They are especially useful in improving life quality of patients suffering from chronic pain. But opioids are extremely addictive and should be handled with caution (2). Most of them are not available over the counter and are considered controlled substances. Negligent use of opioids can lead to drug abuse which not only holds disastrous consequences health wise but also alienate patient from society. Dilaudid is an opiod pain killer and narcotic. Its generic name is hydromorphone or dihydromorphinone. It is a very potent analgesic belonging to the opioid class of drugs. It is available as oral liquid, tablets, injections and solution. Its generic names are: Dilaudid, Exalgo or Hydrostat IR. This medicine is used to help relieve patient from moderate to severe pain (4). Dilaudid or hydromorphone is a narcotic analgesic; its principal medical therapeutic effect is relief of pain. Dilaudid exerts its effects largely on the opioid mu-receptors (5). These mu-binding sites are distributed in the human brain, with high concentration in the posterior amygdala, hypothalamus, thalamus, nucleus caudatus, putamen, and certain cortical areas. They are also found on the terminal axons of primary afferents within laminae I and II (substantia gelatinosa) of the spinal cord and in the spinal nucleus of the trigeminal nerve. In clinical settings, dilaudid exerts its principal pharmacological effect on the central nervous system and gastrointestinal tract. Dilaudid also interacts with kappa-receptors which are thought to evoke spinal analgesia, miosis (constriction of pupils) and sedation. Like other members of opioid class, Dilaudid also depresses the respiratory reflex by a direct effect on brain stem respiratory centers and reducesresponsiveness to carbon dioxide tension (6). It inhibits the cough reflex by acting directly on the cough center in the medulla. As an opioid, dilaudid also produces miosis, decreases gastric, biliary, and pancreatic secretions, reduces propulsive contractions in the gastrointestinal (GI) tract, and can trigger spasm of the sphincter of Oddi resulting in reflux of biliary and pancreatic secretions. These are results of its action on opioid mu receptors. Dilaudid therapy also causes histamine release, which may result in hypotension (low blood pressure), pruritus, and flushing. It has been suggested that the higher lipid solubility of dilaudid may result in less nausea and a lower incidence of histamine-related adverse effects than morphine (7, 8). Like all other medications, Dilaudid also has side effects (9, 10). To prevent constipation, eat a diet with high fiber content, drink plenty of water, and exercise. Ask your doctor for help in selecting a laxative and stool softener. Side effects on liver include biliary tract spasm and raise in level of hepatic enzymes (11). 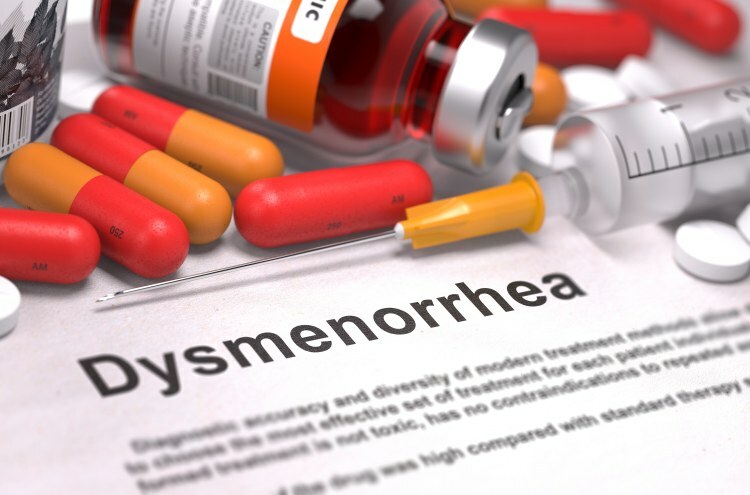 Clinical studies have consistently associated medical and recreational opioid use such as that of dilaudid with hypogonadism and hormone imbalance in both genders. The degree of severit depends on dose of opioid being used. Many studies propose that majority (perhaps as much as 90%) of chronic opioid users experience hormone imbalances. 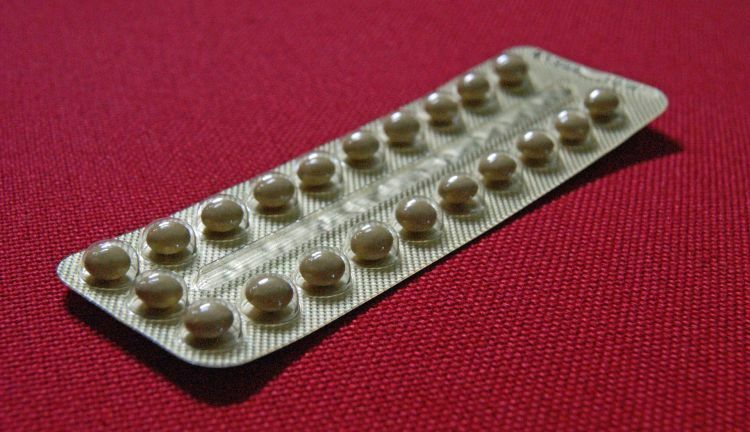 Extended use of dilaudid can also disturb menstruation in women by inhibiting production of luteinizing hormone (12). Combined use of other central nervous system depressants such as sedatives or hypnotics, general anesthetics, phenothiazines, tranquilizers and alcohol may produce additive depressant effects. Respiratory depression, low blood pressure levels and profound sedation or coma may occur. If concomitant therapy of these drugs is being considered, dose of one drug should be altered and reduced. Dilaudid should not be taken together with alcohol. Opioid analgesics, including dilaudid oral liquid and dilaudid tablets, may augment the action of neuromuscular blocking agents and cause an increased amount of respiratory depression. Agonist orantagonist pain relievers such as pentazocine, nalbuphine, butorphanol, and buprenorphine should be used with caution to a patient who has recently received or is receiving a course of therapy with a powerful opioid agonist analgesic such as dilaudid. In this case, mixed agonist or antagonist analgesics may decrease the analgesic therapeutic effect of dilaudid and may produce withdrawal symptoms in these patients. A particular problem that has been observed with dilaudid or hydromorphone medications is accidental administration in place of morphine due to a mix-up between the similar names, either at the time the medicine is prescribed or when the drug is handed out. This has caused several fatalities and calls for dilaudid to be distributed in markedly different packaging from morphine to avoid this mistakewith disastrous consequences. Dilaudid contains hydromorphone, a Schedule II controlled opioid agonist. 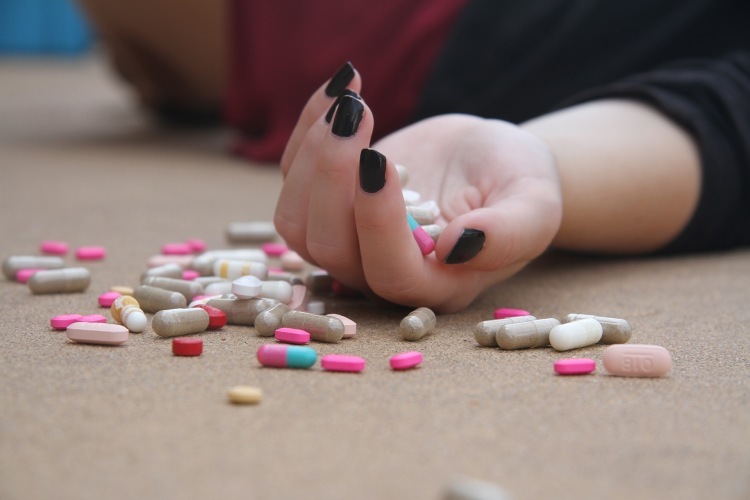 Schedule II opioid substances which include morphine, oxycodone, oxymorphone, fentanyl, and methadone have the highest potential for abuse and danger of fatal overdose. Dilaudid can be abused and has been subject to criminal use (15). Akin to other opiate narcotics can be used recreationally. Its addictive effects are evoked via its strong affinity for the μ-opioid receptor, producing euphoria, sedation, decreased anxiety, respiratory depression, and other classical morphinian effects. Such effects make it particularly predisposed to abuse, although many patients using it for pain therapy are able to use it for long periods of time without developing drug-seeking behavior. In abusers, there can be a strong psychological dependence, thus creating an addiction with repeated use. Physical dependence causes withdrawal, while psychological dependence can create strong urge to use the drug, which can carry on for days or weeks after the physical dependence is broken, and has been known to induce anxiety, insomnia, depression, and a range of other mental illnesses. Psychotherapy is often included in rehab and detox programs, sometimes amplified with pharmacological therapies. Hydromorphone is more pricey in the drug market than heroin, in spite of producing similar effects, thus causing the abuse rates of dilaudid to be lower than heroin and similar opiates. Drug seeking behavior is very common among dilaudid addicts and drug abusers. Drug-seeking devices include emergency calls or visits near the end of office hours, refusal to undergo appropriate examination, testing or referral, repeatedly “misplacing” prescriptions, forging or tampering with prescriptions and reluctance to provide prior medical records or contact information for other treating physicians. “Doctor shopping” to get drug prescriptions is common among drug abusers. Proper examination of the patient, proper prescribing procedures and protocol, periodic re-evaluation of therapy, and proper dispensing and storage are appropriate measures that help to reduce abuse of opioid drugs. Respiratory depression is a major risk during dilaudid therapy. Respiratory depression is more likely to occur in aged patients, in the debilitated, and in those suffering from conditions accompanied by hypoxia or hypercapnia when even mild therapeutic doses may dangerously reduce pulmonary ventilation. Dilaudid should be used with extreme care in patients with chronic obstructive pulmonary disease or cor pulmonale, patients having a significantly decreased respiratory reserve, hypoxia, hypercapnia, or in patients with already existing respiratory depression. In such patients even moderate therapeutic doses of opioid pain killers may decrease respiratory capacity while at the same time increasing airway resistance to the point of apnea. Opioid pain killers including dilaudid, may cause severe hypotension (low blood pressure) in a patient whose capacity to maintain normal blood pressure has already been compromised by a depleted blood volume, or a concomitant administration of drugs such as phenothiazines or general anesthetics. Therefore, dilaudid should be given with caution to patients in circulatory shock, since dilation of blood vessels produced by the drug may further diminish cardiac output and blood pressure. Respiratory depression caused by dilaudid with carbon dioxide retention and secondary increase of cerebrospinal fluid pressure may be noticeably exaggerated in case of head injury, intracranial lesions, or preexisting increase in intracranial pressure. Dilaudid should be used with caution in patients about to undergo surgery of the biliary tract since it may cause contraction of the sphincter of Oddi. Dilaudid should be administered carefully and starting dose should be reduced in elderly or debilitated and those with severe impairment of hepatic, pulmonary or kidney functions, myxedema or hypothyroidism, adrenocortical insufficiency as in Addison’s disease, central nervous system depression or coma, oxic psychoses, prostatic hypertrophy, gall bladder or following gastrointestinal surgery. Dilaudid therapy may exaggerate convulsions in patients. In patients with abdominal disorders it can obscure diagnosis. Opioid administration at very high doses may produce seizures and myoclonus in a range of diseases where pain control is the primary focus. Do not drive or operate heavy machinery after using this drug due to its adverse effects such as sedation on nervous system. Alcohol is a CNS depressant and hazardous to ingest along with dilaudid. Ensure that your food or drinks do not include any alcohol during dilaudid therapy. Do not use during pregnancy unless its benefits outweigh possible adverse effects. Avoid breast feeding as this drug may pass from milk into infant’s system. Inform him if you are using any drugs that may interact with dilaudid. Take Dilaudid exactly as prescribed by your doctor. Follow all directions on your prescription label. Dilaudid can slow or stop your breathing especially at start of therapy or whenever your dose is altered. Never use Dilaudid in larger amounts, or for longer than prescribed. Tell your doctor if your pain persists. Dilaudid can be habit-forming, even at moderate doses. Take this medicine exactly as prescribed by your doctor. Misuse or over dosage of narcotic analgesics such as dilaudid can lead to fatal consequences. Pour a measured amount of liquid medicine with a special dose-measuring spoon or medicine cup, not with a regular table spoon. If you do not have a dose-measuring device, purchase one from your nearest medical store. Do not stop using Dilaudid abruptly, or you could have unpleasant withdrawal symptoms. Ask your doctor how to safely stop using this medicine, he will reduce your dose gradually. Never crush or break a tablet to inhale the powder or mix it into a liquid to inject the drug into your vein. This has caused many deaths due to misuse of hydromorphone present in dilaudid and similar prescription drugs. Store medicine at room temperature away from moisture, heat, and light. Discard any unused liquid after 90 days. Keep track of the amount of medicine used from each new bottle. Hydromorphone is a drug of abuse and you should be aware if anyone is using your medicine sneakily or without a prescription. Do not keep extra Dilaudid tablets or liquid. inquire your pharmacist where to find a drug take-back disposal program. If you can’t finda no take-back program, flush any unused tablets or liquid down the toilet. Disposal of medicines by flushing is recommended to reduce the danger of accidental overdose causing death. Percocet is used as a pain reliever to treat moderate to severe pain (18). It is sold under the following brand names: Endocet, Percocet, Primlev, Roxicet and Xartemis XR. It is available as a pill (tablet). Oxycodone is a semi synthetic opioid. It is produced from thebaine, which is an opioid alkaloid present in poppy seed. Oxycodone exerts its analgesic effect by acting on k-opioid receptors. It increases tolerance to pain. After it binds to the opioid receptor, a G-protein complex is released, which blocks the release of neurotransmitters by the cell by reducing the amount of cAMP produced, closing the calcium channels, and opening the potassium channels (19). Acetaminophen’s analgesic action is weaker than that of oxycodone but it augments its therapeutic effect (20). The exact mechanism of action of acetaminophen by which it produces its analgesic and antipyretic effects remains largely unknown. The key mechanism of action is believed to be inhibition of cyclooxygenase (COX), with a predominant effect on COX-2. Inhibition of COX enzymes prevent break down of arachidonic acid to prostaglandin H2, an unstable intermediate by product which is transformed to pro-inflammatory compounds. In the central nervous system, inhibition of COX enzymes decreases concentrations of prostaglandin E2, which lowers the hypothalamic set-point to reduce fever, and activation of descending inhibitory serotonergic pathways to produce analgesia. Hepatic side effects include hepatic impairment which may occur after overdose. In this case, severe and sometimes fatal dose-dependent hepatitis has been reported. A number of cases of liver damage from chronic acetaminophen therapy at therapeutic doses have also been reported in spite of a lack of risk factors for toxicity. Hepatotoxicity may be amplified by thyroid drugs, zidovudine, fasting, or alcohol use. Alcoholic patients may develop liver disease after even modest doses of acetaminophen. Acetaminophen linked acute tubular necrosis is usually present in combination with liver failure, but has been observed as an isolated finding in rare cases. A likely elevation in the risk of renal cell carcinoma has been linked with prolonged acetaminophen use. 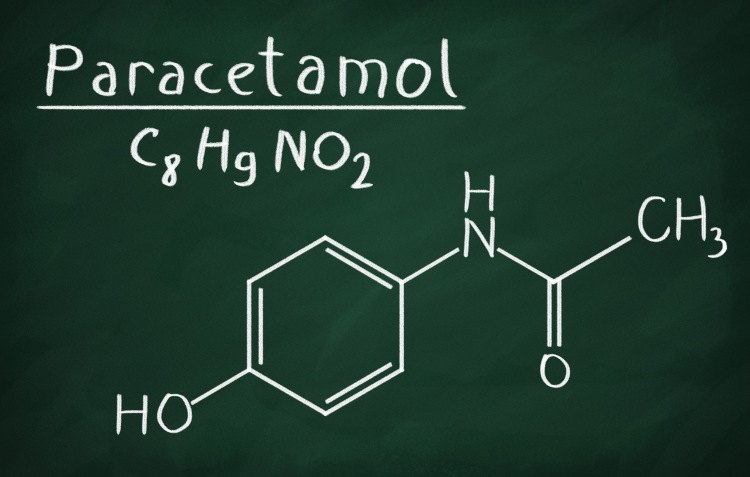 A study of patients with end-stage renal disease suggested that prolonged consumption of acetaminophen may considerably increase the risk of end-stage renal disease especially in patients taking more than two tablets per day. Hypotension is a commonly observed side effect of Percocet therapy. Tachycardia, orthostatic hypotension, bradycardia, palpitations, dysrhythmias have also been observed. 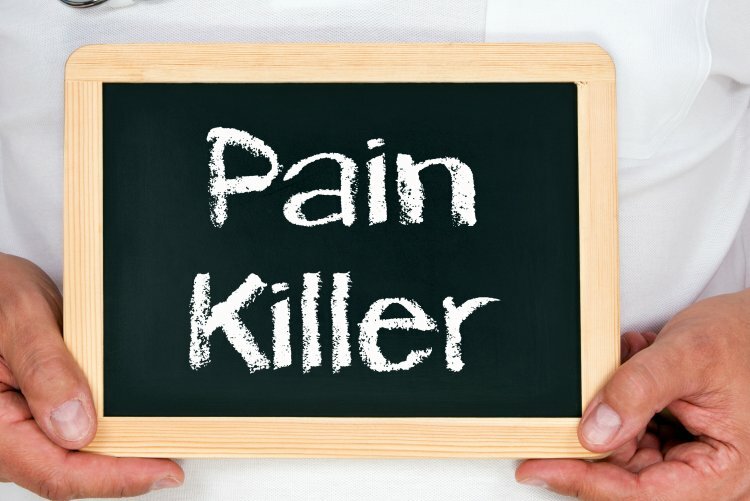 Opioid pain killers may exaggerate the neuromuscular-blocking action of skeletal muscle relaxants and produce an increase in severity of respiratory depression (22). Patients on central nervous system depressant therapy such as other opioid analgesics, general anesthetics, phenothiazines, other tranquilizers, centrally-acting anti-emetics, sedative-hypnotics or other CNS depressants including alcohol along with with Percocet tablets may display an additional central nervous system depression. When such combined therapy is inder consideration, the dose of one or both agents should be adjusted. The simultaneous administration of anticholinergics with opioids may produce paralytic ileus. Agonist/antagonist analgesics such as pentazocine, nalbuphine, naltrexone, and butorphanol should be used with a lot of caution in a patient who has received or is receiving a potent opioid agonist such as oxycodone. These agonist or antagonist analgesics may reduce the pain relieving effect of oxycodone or may precipitate withdrawal symptoms. Alcohol: Liver damage has occurred in chronic alcoholics after administration of moderate to excessive dosage of Percocet. Anticholinergics: The analgesic effect of acetaminophen may be delayed or decreased slightly due to concurrent administration of anticholinergics and Percocet. Oral contraceptives: Rise in glucuronidation causing increased plasma clearance and a decreased half-life of acetaminophen. Activated charcoal: Reduces acetaminophen absorption for treating over dose. Beta blockers (Propanolol): Propanolol appears to inhibit the enzyme systems responsible for metabolism of acetaminophen. Therefore, adverse effects of Percocet are increased. Loop diuretics: The medicinal effects of loop diuretics are decreased because acetaminophen reduces renal prostaglandin excretion and decreases plasma renin activity. Lamotrigine: Serum lamotrigine levels may be reduced, producing a decrease in therapeutic ability of Percocet. Probenecid: This drug may increase the therapeutic effectiveness of acetaminophen slightly. Drug & laboratory test interactions: Depending on the type of test methodology, the individual components of Percocet (Oxycodone and Acetaminophen) may react with agentss used in the preliminary detection of cocaine (primary urinary metabolite, benzoylecgonine) or marijuana (cannabinoids) in human urine. Acetaminophen may hamper home blood glucose measurement systems; decreases of > 20% in mean glucose values may be observed. This effect appears to be drug, dose and system dependent. Oxycodone is an opioid agonist having morphine like effects. These kind of drugs are highly sought after by drug abusers and people with addiction disorders and are subject to criminal diversion. Oxycodone is prone to abuse in a manner similar to other opioid agonists, legal or illicit. This fact should be kept in mind while prescribing or disposing Percocet especially when doctor is worried that the patient may abuse the drug. Concerns regarding misuse, addiction, and diversion should not prevent the proper management of pain. Respiratory depression is a widespread hazard with the use of oxycodone, one of the active ingredients in Percocet tablets, as with all opioid agonists. Old and debilitated patients are at particular jeopardy for respiratory depression as are non-tolerant patients given large initial doses of oxycodone or when oxycodone is given in combination with other agents that depress respiration. Percocet should be used with extreme caution in patients with asthma, chronic obstructive pulmonary disorder (COPD), cor pulmonale, or preexisting respiratory impairment. In such patients, even usual therapeutic doses of Percocet may decrease respiratory drive to dangerous point. In these patients alternative non-opioid analgesics should be considered, and opioids should be employed only under careful medical supervision at the lowest effective dose. In case of respiratory depression, a reversal agent such as naloxone hydrochloride should be given to patient. The respiratory depressant consequences of opioids include carbon dioxide retention and rise of cerebrospinal fluid pressure, and may be considerably exaggerated in the presence of head injury, other intracranial lesions or a pre-existing increase in intracranial pressure. Percocet produces effects on pupillary response and consciousness which may hide neurologic signs of worsening in patients with head injuries. Percocet due to oxycodone may cause severe hypotension particularly in individuals whose ability to maintain blood pressure has been compromised by a depleted blood volume, or after concomitant administration with drugs which compromise vasomotor tone such as phenothiazines. Oxycodone, like all opioid pain killers of the morphine-type, should be given with caution to patients in circulatory shock, since vasodilation produced by the drug may further shrink cardiac output and blood pressure. Oxycodone may produce orthostatic hypotension in ambulatory patients. Acetaminophen has been often connected with cases of acute liver failure, at times resulting in liver transplant and fatal consequences. Most of the cases of liver injury are associated with the use of acetaminophen containing medicines such as Percocet at doses that exceed 4000 milligrams per day. The risk of acute liver failure is elevated in patients with underlying liver disease and in individuals who use alcohol while taking acetaminophen. Sometimes, acetaminophen may cause serious allergic skin reactions such as acute generalized exanthematous pustulosis (AGEP), Stevens-Johnson Syndrome (SJS), and toxic epidermal necrolysis (TEN), which can be potentially fatal. Patients should be informed about possible occurrence of skin conditions, and use of the drug should be stopped at first appearance of skin rash or any other sign of hypersensitivity. There have been reports of hypersensitivity and anaphylaxis linked with use of Percocet due to acetaminophen. Clinical signs including swelling of the face, mouth, and throat, respiratory distress, urticaria, rash, pruritus, and vomiting. There were occasional reports of grave anaphylaxis requiring emergency medical attention. Patients should discontinue acetaminophen therapy immediately and seek medical care if they experience these symptoms. Do not prescribe Percocet for patients with acetaminophen allergy. Following an acute overdosage of Percocet, toxicity may result from oxycodone or acetaminophen (24). In severe overdosage, apnea, circulatory collapse, cardiac arrest, and death may occur. Dose-dependent potentially fatal hepatic cell damage is the most grim adverse effect. Renal tubular necrosis, hypoglycemic coma, and coagulation defects may also appear. Clinical and laboratory evidence of hepatic toxicity may not be clear until 48 to 72 hours after ingestion. An overdose of Percocet is a potentially lethal poly drug overdose, and consultation with a regional poison control center is suggested. Instant treatment includes support of cardio-respiratory function and measures to reduce drug absorption. Oxygen, intravenous fluids, vasopressors, and other supportive measures should be used as needed. Assisted or controlled ventilation should also be considered. More attention should be given to the restoration of adequate respiratory exchange through provision of airway and the institution of assisted or controlled ventilation. The opioid antagonist naloxone hydrochloride is an efefctive antidote against respiratory depression which may result from overdosage or unusual sensitivity to opioids, including oxycodone. Since the period of action of oxycodone may go beyond that of the antagonist, the patient should be kept under continued observation, and repeated doses of the antagonist should be administered as needed to maintain adequate respiration. An opioid antagonist should not be administered unless there is clinically significant respiratory or cardiovascular depression. Gastric clearance with activated charcoal should be administered just prior to N-acetylcysteine to decrease absorption if acetaminophen ingestion is known or suspected to have occurred within a few hours. Serum acetaminophen levels should be recorded straight away if the patient presents 4 hours or more after ingestion to assess potential risk of hepatotoxicity; acetaminophen levels drawn less than 4 hours post-ingestion may be ambiguous. To achieve the best possible result, NAC should be administered as soon as possible where impending or evolving liver injury is suspected. Intravenous NAC may be administered when needed. Asthma, COPD, sleep apnea, or other breathing disorders. Oxycodone may be habit forming and addictive. Never share Percocet with another person, in particular someone with a history of drug abuse or addiction. Store the medication in a secure place where others cannot get to it. Selling or giving away Percocet to any other person is illegal and punishable by law. It is not known whether Percocet will harm an unborn baby. If you ingest oxycodone while you are pregnant, your baby could become dependent on the drug. This can produce life-threatening withdrawal symptoms in the baby after it is born. Tell your doctor if you are pregnant or plan to become pregnant. Acetaminophen and oxycodone may pass into breast milk and could harm a nursing baby. Avoid use of this medicine if you are a nursing mother. Take Percocet exactly as prescribed. Follow all directions on your prescription label. Never take Percocet in larger doses, or for longer than prescribed. An overdose can damage your liver or cause death or lead to drug abuse. Tell your doctor if the medicine seems ineffective after a while. Drink 6 to 8 full glasses of water daily to help prevent constipation while you are taking Percocet. Percocet can produce misleading results with certain urine tests. Tell any doctor who treats you that you are using Percocet. If you require surgery, tell the surgeon ahead of time that you are using acetaminophen and oxycodone especially before abdominal surgery. You may need to stop using the medicine for a short time. Do not stop using Percocet suddenly after long-term use, or you could have unpleasant withdrawal symptoms. Ask your doctor how to avoid withdrawal symptoms when you stop using this medicine, he will gradually decrease your dose. Store Percocet at room temperature away from moisture and heat and away from reach of children. Always check your bottle carefully to make sure you have received the correct pills (same brand and type) of medicine prescribed by your doctor. Do not store extra Percocet tablets. Ask your pharmacist where to locate a drug take-back disposal program. If there is no take-back program, flush any unused tablets down the toilet. Disposal of medicines by flushing is recommended to reduce the danger of accidental overdose causing death. Since Percocet is taken whenever pain relief is rqeuired, you may not be on a dosing schedule. If you are taking the medication regularly, take the missed dose as soon as you remember. Skip the missed dose if it is almost time for your next scheduled dose. Do not use extra medicine to make up the missed dose. This medication may impair your thinking faculties. Avoid driving or operating machinery until effects of Percocet wear off. Dizziness or severe drowsiness can cause falls or other accidents. 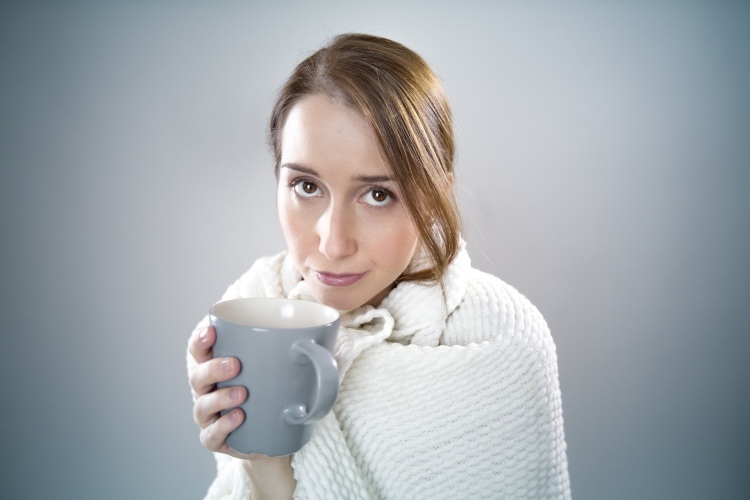 Ask a doctor or pharmacist before using any other cold, allergy, pain, or sleep medication. Acetaminophen is present in many combination medicines. Overdose may occur. Darvocet is a combination medicine containing propoxyphene and acetaminophen. It is used to treat moderate to severe ranging pain. It is sold under the following brand names: Balacet, Darvocet, Propacet 100. It is also used for its anti pyretic properties (25). 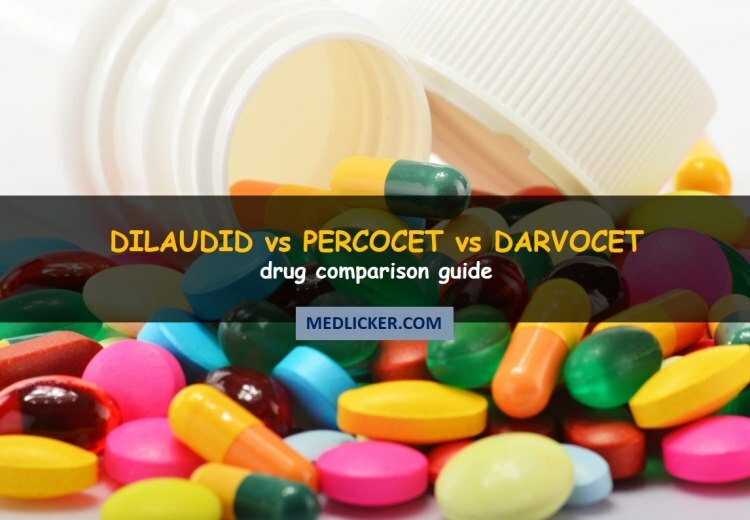 Darvocet contains the opioid narcotic propoxyphene and acetaminophen. Acetaminophen supports analgesic action of propoxyphene. Gastrointestinal side effects of Darvocet are not common, except in alcoholics and after overdose. Cases of acute pancreatitis have been reported rarely with Darvocet use. Nausea, vomiting, and constipation are common effects of propoxyphene. Gastrointestinal bleeding and acute pancreatitis have also been reported. Ischemic colitis has been reported following an overdose of darvocet due to propoxyphene which was complicated by severe hypotension. Cardiovascular side effects of propoxyphene include arrhythmia, bradycardia, cardiac and respiratory arrest, congestive arrest, congestive heart failure , tachycardia, myocardial infarction, hypotension, decreased blood pressure, elevated heart rate, abnormal heart rate, and dizziness. Renal side effects of Darvocet are rare and have included acute tubular necrosis and interstitial nephritis. Cases of severe hypoglycemia have been reported in patients with chronic renal failure who received Darvocet. 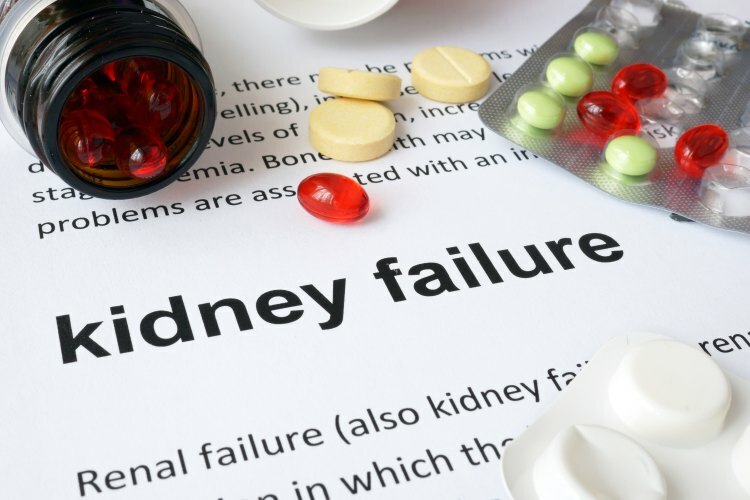 The adverse effects of Darvocet caused by propoxyphene may be more possible and more severe in patients with renal insufficiency. Hematologic side effects including rare cases of thrombocytopenia associated with acetaminophen have been reported. Respiratory side effects such asacetaminophen-induced eosinophilic pneumonia have been reported. Respiratory adverse reaction caused by propoxyphene present in Darvocet is dyspnea. Musculoskeletal side effects including myopathy and rhabdomyolysis have been observed after prolonged oral use. Fibrous myopathy has also been reported in propoxyphene-abusing patients who administer the drug via intramuscular injection. Alcoholic patients may develop liver disease after even mild doses of acetaminophen. The adverse effects of acetaminophen-propoxyphene may be more likely and more severe in patients with liver disease. Hepatic side effects of acetaminophen including severe and sometimes fatal dose dependent hepatitis have been reported in alcoholic patients. Hepatic side effects of propoxyphene are elevated liver function tests, jaundice, hepatic steatosis, hepatomegaly, hepatocellular injury and liver damage. Ocular side effects including eye swelling and vision blurred have been reported with the use of Darvocet. Psychiatric side effects including erratic behavior, confusion, hallucinations, and mental status change have been reported with the use of propoxyphene. Patients should report pain and adverse experiences occurring through therapy so dose can be adjusted accordingly or discontinued. Patients should be advised not to adjust the dose of Darvocet-N themselves without consulting the prescribing professional. Patients should be advised that Darvocet may impair mental and physical faculties required for the performance of potentially hazardous tasks (e.g., driving, operating heavy machinery). Patients should not use Darvocet with central nervous system (CNS) depressants (e.g., sleep aids, tranquilizers) except after consultation of the prescribing physician, because additive effects may occur. Patients should be instructed not to use alcoholic beverages, including prescription and over-the-counter medications that contain alcohol or food items containing alcohol, while using Darvocet because of risk of serious adverse events including death. Women of childbearing age who become, or are planning to become, pregnant should be advised to consult their doctor regarding the effects of Darvocet and other drug use during pregnancy on themselves and their unborn child. Patients should be advised that Darvocet is addictive and a potential drug of abuse. They should protect it from theft, and it should never be given to anyone other than the individual for whom it was prescribed. Patients should be advised that if they have been receiving treatment with Darvocet for a long time and cessation of therapy is indicated, it may be appropriate to gradually decrease the Darvocet dose, rather than abruptly discontinue it, due to the risk of precipitating withdrawal symptoms. Their physician can provide a dose schedule to accomplish a gradual discontinuation of the medication. Instruct patients not to use any other medication that contains acetaminophen, including acetaminophen-based over-the-counter medications, while taking Darvocet because of risk of acetaminophen over dose. As you could see above Darvocet is no longer prescribed in USA and Europe. So the information in this paragraph is only for reference purposes and for those patients, who take Darvocet with prior consent of their physician. Do not use Darvocetif you have used an MAO inhibitor such as furazolidone (Furoxone), isocarboxazid (Marplan), phenelzine (Nardil), rasagiline (Azilect), selegiline (Eldepryl, Emsam, Zelapar), or tranylcypromine (Parnate) in the last two weeks. A dangerous drug interaction could occur, leading to serious side effects. Mental illness, or a history of drug or alcohol addiction. Tell your doctor if you drink more than three alcoholic beverages per day or if you have ever had alcoholic liver disease. Take Darvocet exactly as prescribed by your doctor. Do not take in larger or smaller doses or for longer than recommended. Follow the directions on your prescription label. Tell your doctor if the medicine seems to stop working as well in treating pain. Store Darvocet at room temperature away from moisture and heat and out of reach of children. Keep track of the amount of medicine used from each new bottle. Propoxyphene is a drug of abuse and you should be aware if anyone is using your medicine improperly or without a prescription. Now that you have complete information regarding these medicines you can compare them to determine which one is the best analgesic for you. Chief component if Dilaudid is hydromorphone. Main ingredients of Percocet are oxycodone and acetaminophen. Core components of Darvocet are propoxyphene and acetaminophen. Due to presence of acetaminophen, Percocet and Darvocet also have anti pyretic properties. All three medicines contain opioid narcotics and are highly addictive. Be careful while using them if you have a history of drug abuse. All three medicines cause respiratory depression and raise intracranial pressure. However, Dilaudid is less hepatotoxic because of absence of acetaminophen. Darvocet is discontinued in U.S.A. and Europe and is no longer prescribed.